Japanese Bobtail is considered a lucky cat in Japan. Whenever you visit homes in Japan you will notice a ceramic cat with its paw raised on many entrances of homes in Japan. This is a traditional symbol that signifies good luck. This cat breed is a natural cat found in Japan that is mentioned in many literatures and paintings found almost 1000 years ago. The chiseled head and stylish angular lines along with vibrant and rich color coats make this very special cat unique. The preferred color for this cat breed is tri-colored and contrasting and bold colored patterns on the bi-colors. One unique feature of this cat is its bobbed tail, which looks like that of a rabbit’s tail. Native to Japan this cat breed can now be found around the world. How this cat breed originated is still a mystery, but one thing is sure the Bobtail has been around from thousands of years and their names have been mentioned in Japanese literature and paintings. One story mentions of a cat whose tail got burnt due to fire caused from a spark from a close by fireplace. The panicky cat ran around the city setting fire to homes in the city. The next morning the angry emperor passed an order to chop short the tails of all cats in the city to prevent further mishaps. The other story is about maneki-neko a lucky cat that had the ability to attract passersby and its influence was so much that its figure is considered the symbol of good luck and hence they are placed in front of homes and shopping arcades. The influx of cats into Japan came from China and Korea around the 6th century though it is not sure whether these cats were the Bobtails. But, one thing is sure by the Seventeenth century the bobtail cat were pretty common and the tri-colored cats with short tails resembling a pom-pom have been sighted in various arts and paintings in Japan. 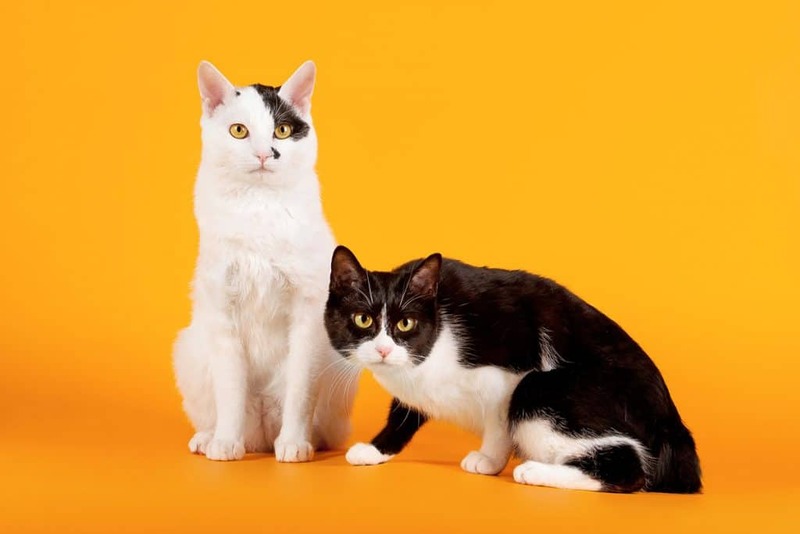 Mi-ke in Japanese or the tri-colored cats with white and red and black patches are considered very lucky in Japan. Due to the beauty and grace of these cats the Japanese imperials, temples and homes kept these prized cats for long years. In between the 15th and the 16th century when the Japanese silk industry started flourishing the mice population started destroying the cocoons and silkworms, it was at this time the government decided to set free cats to protect the grains and expensive silkworms. It was at this stage the Japanese bobtail became a common street cat instead of a pampered domestic cat. 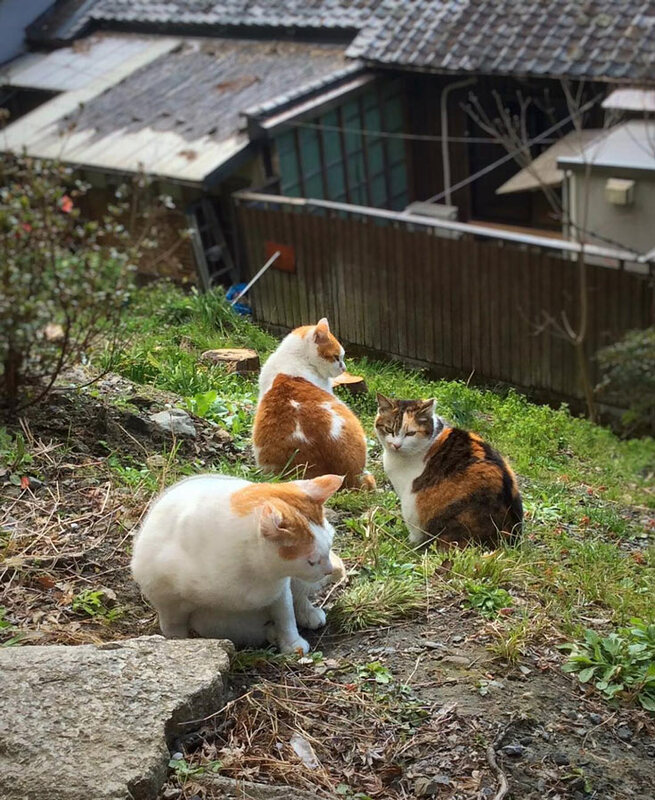 In Japan you can find these cats on streets as well as in most cat lover’s homes, while it is found with cat fanciers, and breeders in the United States. In US these cats are only seen in cat shows. In Japan now this cat is considered a common domestic cat rather than a purebred. It was only in 1960 when the US started including the bobtails in the cat shows the Japanese also followed the trend. The very first bobtail arrived on the American shores from Japan only in 1908, but the breeding program started in 1968. In 1969, the CFA accepted the bobtails for registration and in 1971 they were granted provisional status. In 1976 they were granted the championship status by the CFA. Today this unique cat breed has been accepted by all the major cat registries. Of late longhaired versions of this breed have been accepted by major cat registries and these varieties of bobtails are commonly found in the colder regions of Japan. The shorthaired version is more commonly found as compared to the longhaired versions. 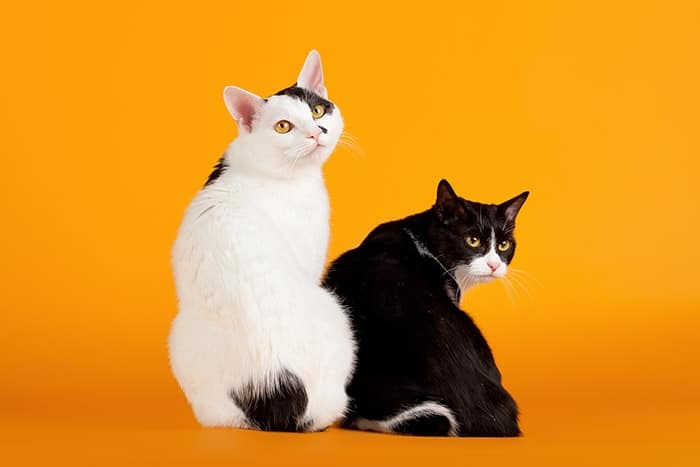 The gene that is responsible for the short tail is recessive in nature, which means two bobtails can produce a short tail cat. The fur on the tail protects the underlying bone that can change from each cat. This unique tail is only four inches long, but due to the curls that take the shape of a corkscrew it seems to appear shorter. The hind legs of these cats are longer than the front legs. The hair on the tail is longer than the one found on the body, which gives the tail a pom-pom like appearance. In the longhaired cats the tail looks like a flower. They have high and chiseled cheekbones with large eyes that are set on the triangular shaped head with large and high ears that gives this cat an alert appearance. These cats are very muscular with females weighing in the range of 5 to 7 pounds while males weighing in the range of 8 to 10 pounds.The bobtails come in both short haired and longhaired versions with a variety of color and pattern options. These cats can come in odd-eyed or blue eyes. Blue eyed cats are preferred since they are found on white cats. The coat is silky and soft. The shorthaired cats have medium length coat with muscular body. Both versions of this cat lack undercoat, which means less shedding. The coat patterns are tabby, tortoise shell, and solid colors. The average lifespan of these cats is 9 to 15 years. The bobtails can cost from $600 to $1000 for a show quality cat. Bobtails are very people oriented cats and like to be the centre of attention. They like watching TV with their family members and will read a newspaper. They will greet your guests at the door, and will interact with everyone in the house. These cats love playing and enjoy a game of fetch or roll ball. They are good travelers and like to attend cat shows. These cats are intelligent, playful, energetic, active, and bold and adjust with all situations. They have a soft chirping voice. Bobtails are generally healthy by nature and their recessive gene that is responsible for their short tail is not related to any bone abnormalities. Both longhaired and shorthaired versions are easy to comb and usually are free of tangles. The coat is water resistant so bath is not a necessity. It is better to keep these cats indoors as they can get stolen or get injured. Since bobtail is an active and energetic cat breed they need to eat more in regular intervals. They love eating treats, but always keep an eye on their weight. Bobtails are talkative, and like communicating with chirps and meows. You can challenge their brain by teaching them new tricks that they learn very quickly since they are very intelligent cats. Due to their curious nature they love to explore new places. These friendly cats can be seen riding on the shoulders. Bobtails are kid friendly cats. They adjust well with children, dogs and other cats in the house. They enjoy a game of tag with their feline friends. Bobtails are considered a lucky cat and these cats ensure prosperity and lots of joy. 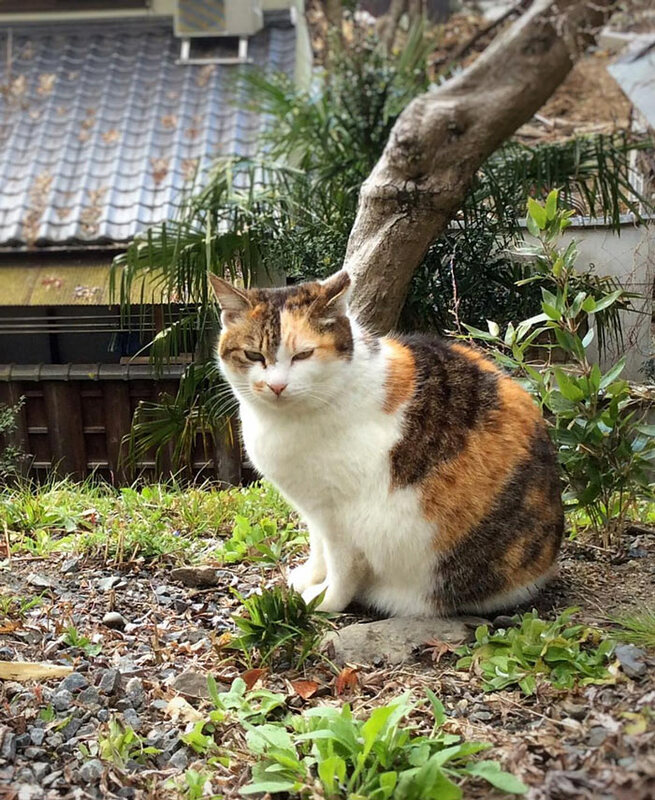 The statues of these cats can now be purchased from stores in Japan.